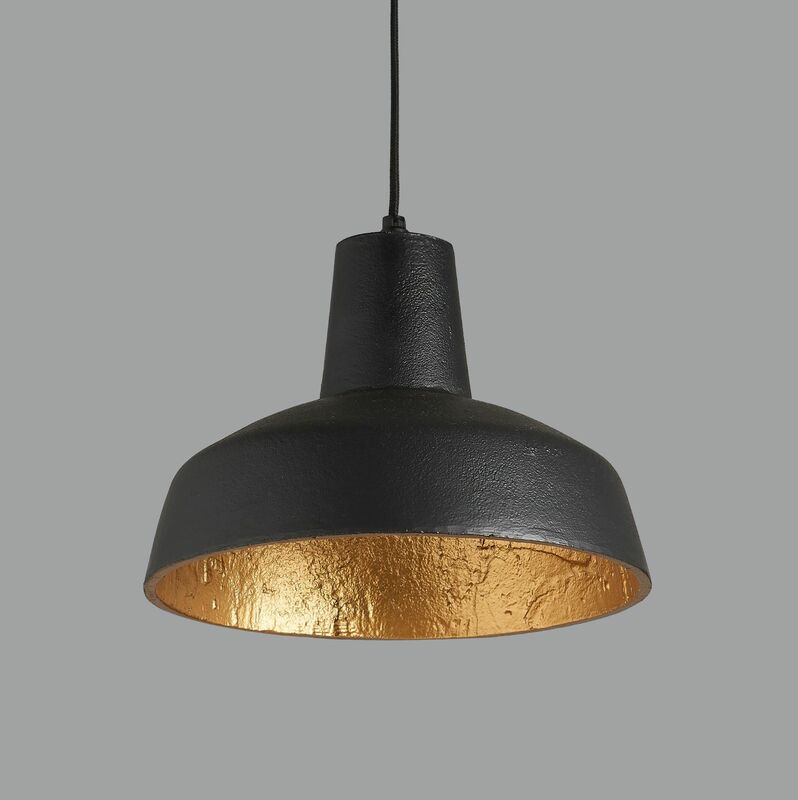 This black and gold pendant light has a characterful textured finish both inside and out and emits a warm light. 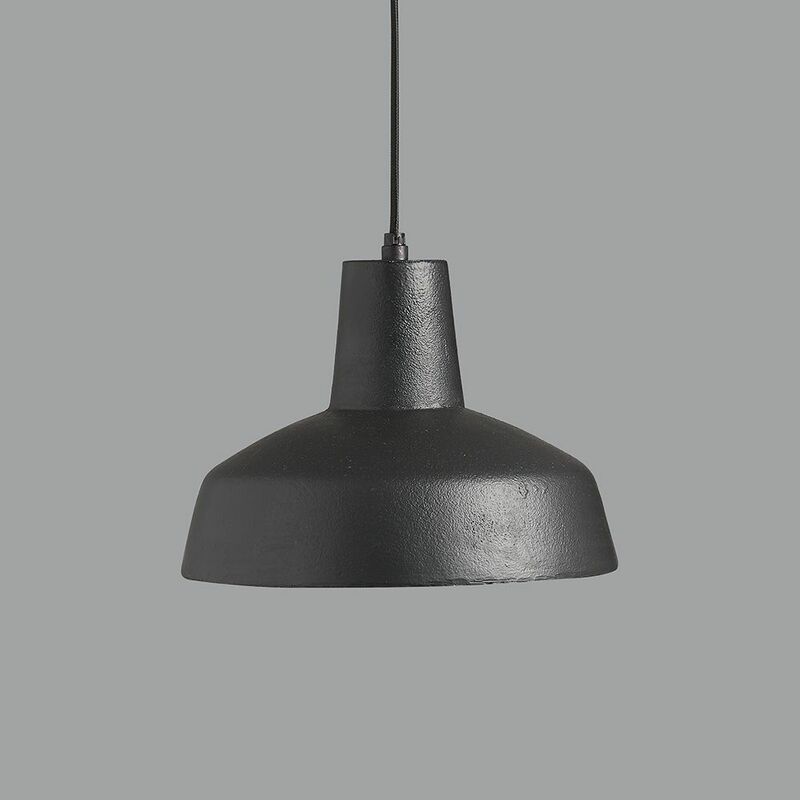 It comes with approximately 90cm of fabric flex that can be shortened to any length and a matching black metal ceiling rose. 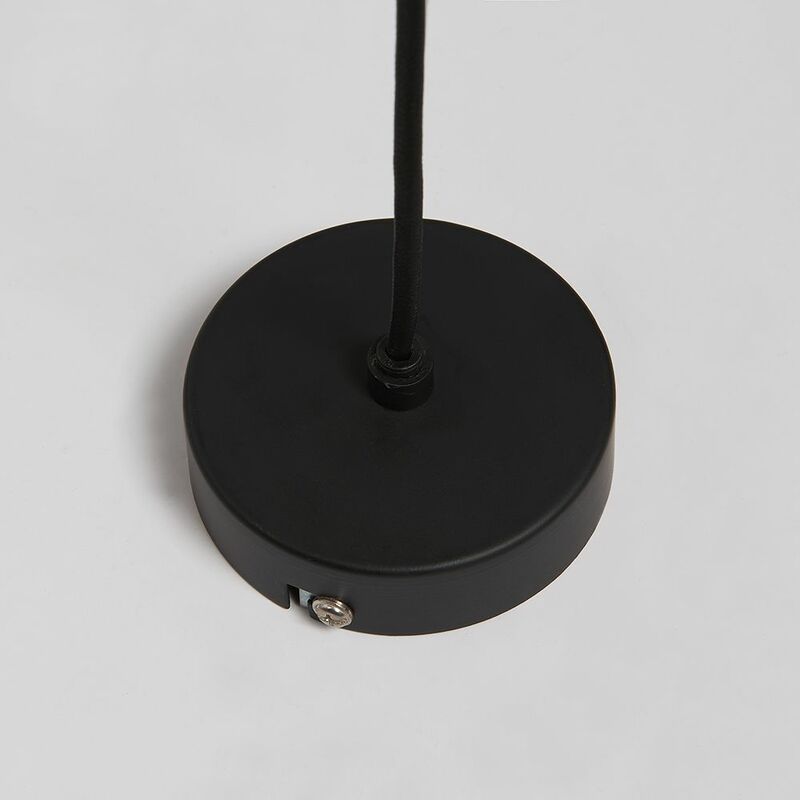 Takes any E27 (large screw) bulb and is dimmable. 26 cm dia x 20cm high.